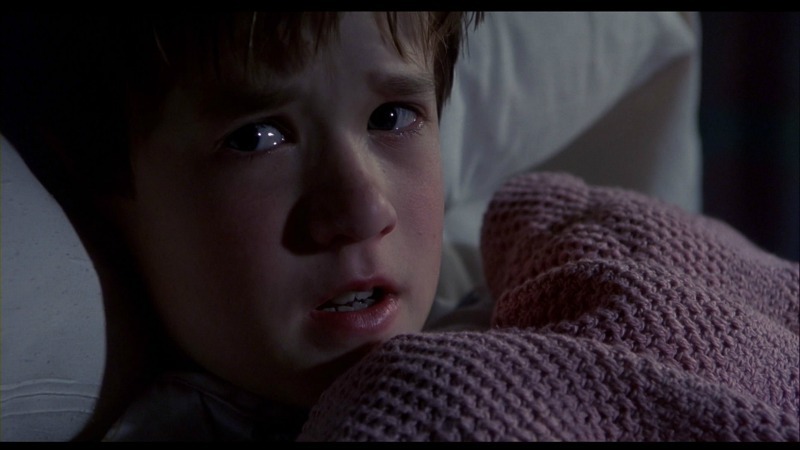 Is The Sixth Sense still the best M. Night Shyamalan movie? Of the nine movies he’s directed subsequently, some have been better received than others, but none has amassed the same critical and commercial consensus that was showered on his breakthrough movie on release back in 1999. In truth, all the hallmarks Shyamalan would later be criticised for – the twists, the huge leaps of logic and his tendency to trick rather than trust the audience – are present and correct in The Sixth Sense. Haley Joel Osment’s ‘I see dead people’ reveal may be the most parodied movie moment of the 90s – up there with the flying scene in Titanic and American Beauty’s plastic bag monologue. But if you can somehow keep the overexposure and Shyamalan’s own critical baggage out of your mind, the movie holds up. Most of this is down to a uniformly exceptional cast – well, give or take a scenery chewing Wahlberg brother. Bruce Willis is surprisingly effective playing against type as a tortured psychologist, while Toni Collette is quietly heartbreaking as a single mother who loves but fears for her gifted son. But the movie really belongs to Osment, without whom the movie could have totally fallen apart. He’s so good in it, you genuinely wonder what he’d be capable of now if given the right role.